New Delhi : Hours after Prime Minister Narendra Modi addressed a public meeting in Rajasthan, Kashmir saw a sudden movement of troops and fighter jets, leaving people on edge with fear of something fishy. Former IAS officer Shah Faesal tweeted, "Prime Minister @narendramodi We haven't slept last night and we don't know whether we are going to wake up alive tomorrow. People are avoiding movement & hoarding essential items; it is a doomsday feeling. Can someone tell us whats happening here? Kashmir wants peace." We haven't slept last night and we don't know whether we are going to wake up alive tomorrow. People are avoiding movement & hoarding essential items; it is a doomsday feeling. Can someone tell us whats happening here? 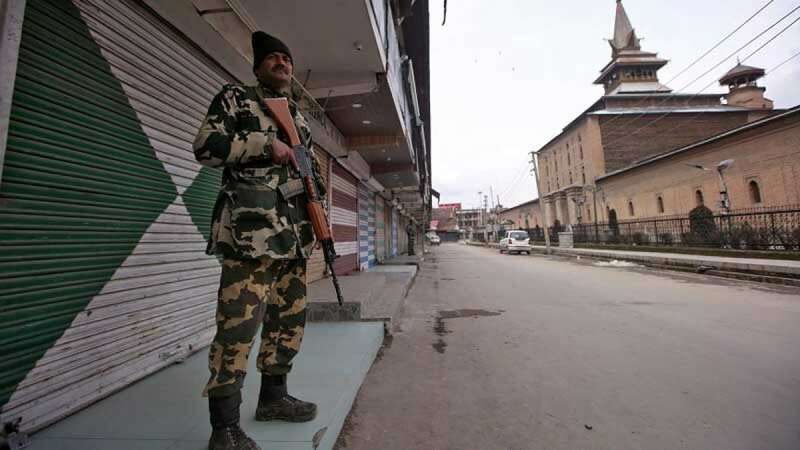 On Friday, the Ministry of Home Affairs (MHA) ordered 100 security companies to immediately move their soldiers in Kashmir. The security personnel were subsequently airlifted within hours to the Valley. In a precautious measure, people of Kashmir started stocking up essential household items fearing lock down in the place. Petrol pumps running dry, many essentials short as Kashmir goes into a panic buying mode --- as several theories of escalation doing rounds here. Is India and Pakistan going to war from tomorrow? If you live in #Kashmir you certainly would get that feeling, now. The streets are jammed, petrol pumps dry and people waiting in long lines. The government is issuing one after another emergency orders to add to that chaos.